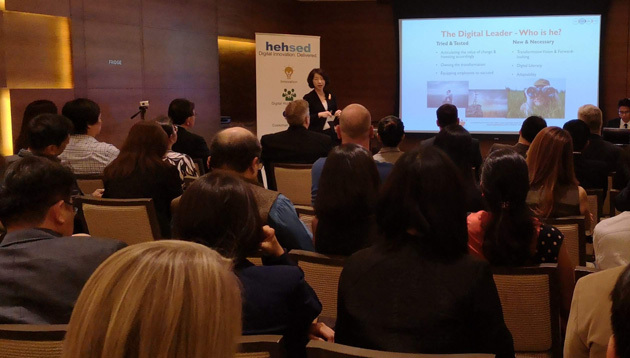 On 29 March 2019, the inaugural Leadership Master Series was organised by Hehsed Consulting, bringing together leaders from across functions in Singapore to discuss ways to steer our organisations through the new wave of digital transformation. Held at Grand Hyatt Hotel, the event was organised in partnership with SkillsFuture, Lifelong Learning Institute (LLI), and Human Capital Leadership Institute (HCLI). Dr Koh Tat Suan, Director, Lifelong Learning, LLI, delivered the opening remarks on the importance of leveraging various gateways for learning opportunities. “We hope to encourage a lifelong learning mindset for everyone. As part of our efforts, we hope we can encourage everyone to promote the national efforts in this regard,” he affirmed. He was followed by opening speaker, Francis Goh, CEO and Founder, Hehsed Consulting (pictured below), who emphasised the competencies needed to equip leaders to lead in today’s environment. 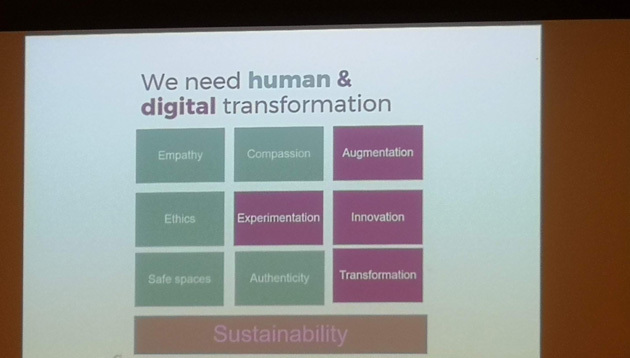 Next up, Lelia Lim, Managing Partner, Asia Pacific, Lim-Loges & Masters (pictured below), steered the conversation towards the alignment of leadership with technology. Before diving in to the panel discussion, the stage was taken by Michael Jenkins, Chief Executive Officer, HCLI, who took an interesting approach to identifying the unintended consequences of technologies such as AI. 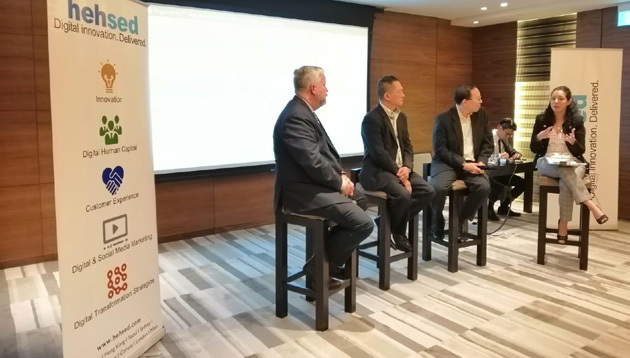 The evening was capped off with a lively discussion, where Jenkins and Goh were joined by Shenton Sng, Vice President of HR, Singapore Press Holdings, moderated by Aditi Sharma Kalra, Regional Editor, Human Resources (pictured in lead image, L-R). Potential metrics for measurement of the future leader’s success, optimising the entry of Gen Z into the workforce, and identifying the silent resistors of change and bringing them on board where among the topics they discussed, alongside a number of relevant questions posed by the delegates. Sabrina Zolkifi dreams up some office perks to help make work a hell of a lot less distracting. ..
As we're always looking to improve our content for you, let us know what you think with this quick survey. ..